2016 Ford F-250 Super Duty For Sale In Vernon, Kelowna, Okanagan, BC. The 2016 Ford F-250 Super Duty offers the perfect combination of power and productivity, capability and convenience in an attractive package. Loaded with choices, you can easily customize this two- or four-door work truck to fit your needs and represent your style. Select from multiple trim levels with seating for up to six: XL, XLT, Lariat, King Ranch, and Platinum. Built as much for durability and performance as for style, the 2016 Ford F-250 Super Duty doesn’t lack in any category. Starting with the frame, this truck delivers maximum strength with its fully boxed front rails and extra gussets which offer enhanced security in high-stress locations. Choose either the 6’-3/4” or 8’ box to give you ample space for your cargo or equipment. An available tailgate step is class-exclusive and comes with a 159-kg load capacity. Haul even more with the available 5th Wheel/Gooseneck Hitch Prep Package. Impressive design captures your attention with the bar-style grille, featuring the Ram badge emblazoned on the front. PowerScope trailer tow mirrors enhance your views as you pull a big load, while dual beam halogen headlamps and pickup box and cargo lights improve visibility whether you are on the road or loading and unloading. 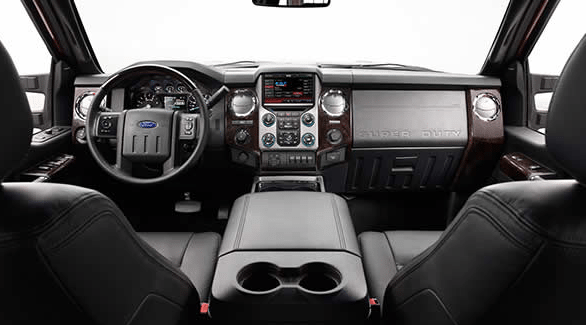 Enjoy the comforts of home or the office inside the 2016 Ford F-250 Super Duty. Modern technology and a contemporary design combine to enhance your work efficiency no matter how remote the jobsite. Keep track of towing data and off-road information with the available LCD productivity screen which you can configure. SYNC and SYNC with MyFord Touch keeps you connected and informed and in-touch. Voice-activated technology enables you to keep your focus on the road while Bluetooth connectivity keeps your focus on the road when communicating. 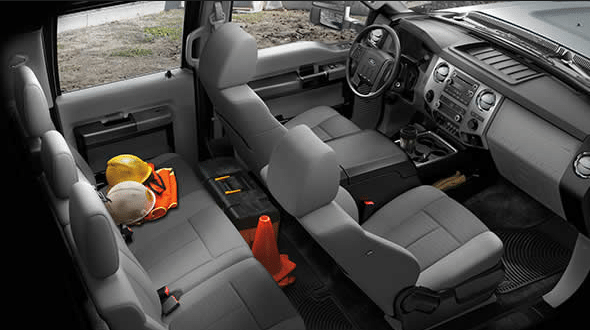 Ford’s active comfort seats come with lumbar support to provide a comfortable space. Store devices and paperwork in the large, lockable centre console, and connect with the available 110V/150W power inverter. More storage is available with the under-seat locking storage under the first and second row seats. 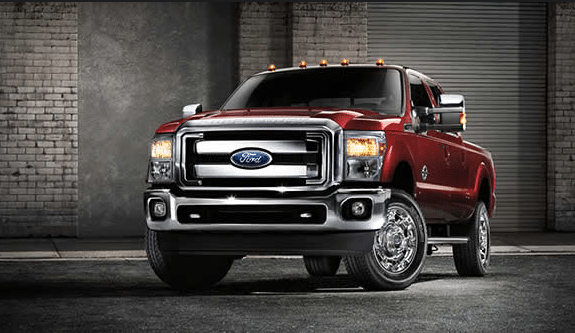 Exceptional performance is what you need and expect in a work truck, and the 2016 Ford F-250 Super Duty delivers. This truck offers two engine options, including the 6.2L V8 with Best-in-Class horsepower and torque. Unbeatable capability provides the Best-in-Class towing to help you get the tough jobs completed. The diesel engine provides Best-in-Class diesel fuel efficiency. Enjoy enhanced handling with the Ford TorqShift 6-speed SelectShift automatic transmission and either 4x2 or 4x4 configurations. 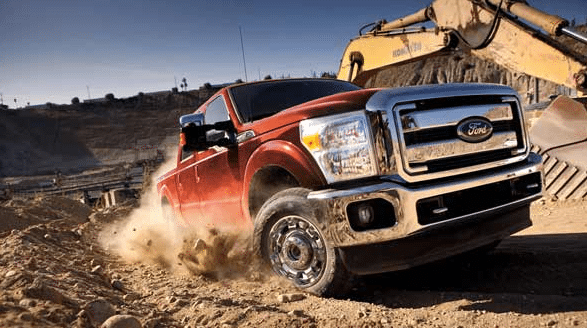 Feel secure wherever your job takes you when you drive the 2016 Ford F-250 Super Duty. Backed by a solid Ford warranty, you can feel secure where the 2016 Ford F-250 Super Duty takes you. 2016 Ford F-250 Super Duty For Sale In Vernon, Okanagan Valley, B.C. Greet your work day with a truck that offers exceptional performance and capability in the 2016 Ford F-250 Super Duty. No matter what your job demands of you or where it takes you, this work truck is prepared to go the distance. Creature comforts and safety equipment ensure you enjoy the journey, whether it’s for work or play. Stop by Watkin Motors Ford to see the 2016 Ford F-250 Super Duty and take it for a test drive. Work with the sales team to select the ideal trim level for your needs. Your local Okanagan Valley Ford Dealer – Watkin Motors Ford will help you accessorize and customize your new Ford truck to your specifications.